Darren McCollester/Getty ImagesBill Gates returned to Harvard years later to receive an honorary degree. The technology industry is known for having been created by college dropouts like Steve Jobs, Bill Gates, and Larry Ellison, but that doesn’t mean these innovators didn’t have meaningful undergraduate experiences. 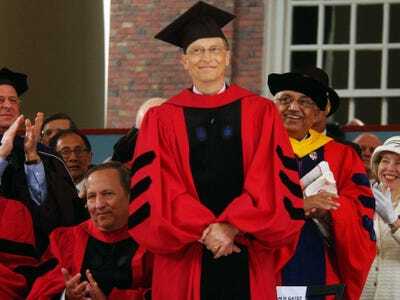 Bill Gates became friends with Steve Ballmer at Harvard, Larry Ellison learned he was a pretty good computer programmer at the University of Illinois, and Steve Jobs considered his time at Reed College among the most valuable experiences of his life. Meanwhile, Peter Thiel actually graduated from Stanford, but today he thinks college is such a waste of time that he offers $US100,000 scholarships to students who want to drop out. What can we say, everyone’s experience is different. 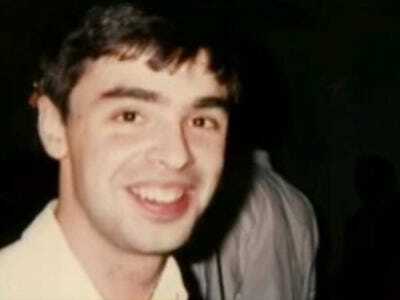 Larry Page during his time at the University of Michigan. Google cofounder and CEO Larry Page had been a quiet child growing up in East Lansing, Michigan, but he began to find his footing socially while attending the University of Michigan during the early 90s. There, he made friends with other students who loved technology and became editor of a newsletter put out by Eta Kappa Nu, an electrical and computer engineering honour society, according to a Business Insider story earlier this year. BI's Nicholas Carlson reports that Page also developed a reputation for prescient predictions about the future -- such as when he realised that cheaper hard drives would make PCs a lot more useful -- and a desire to solve big problems regardless of whether the technology existed to do so. 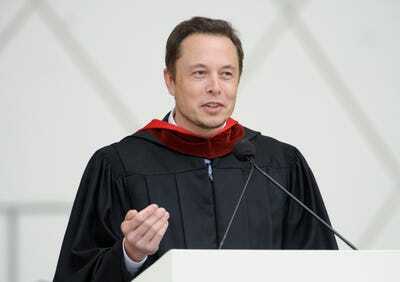 PayPal cofounder and Tesla CEO Elon Musk studied physics and business at the University of Pennsylvania, transferring from Queen's University in Canada following his sophomore year. Meanwhile, The New Yorker reports Musk loved first-person shooter video games, and he was so focused on his schoolwork that his mother would check on him to make sure he was eating and changing his socks every day, according to a 2012 Forbes story. But in addition to all that studying and gaming, Penn's alumni magazine reports that Musk and Ressi made money by charging other students to attend parties they threw at their house. 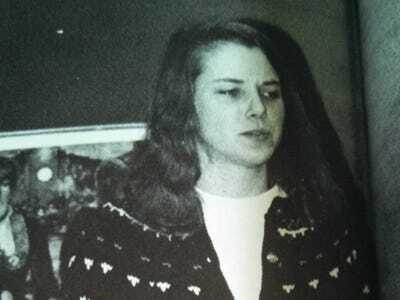 Marissa Mayer in high school, shortly before she enrolled at Stanford. Yahoo president and CEO Marissa Mayer was already an overachiever by the time she enrolled at Stanford in 1993, having served as president of her high school's Spanish club, treasurer of its Key Club, and captain of both the debate team and pom-pom squad. This intense focus on achievement continued in Palo Alto, where a former classmate describes her as having been 'very smart and very serious,' according to Business Insider's Nicholas Carlson. Carlson reports that Mayer wavered from her initial plan to become a doctor, finding that she preferred the problem-solving skills used in computer programming to the rote memorization needed to succeed in pre-med classes. As an upperclassmen, Mayer excelled teaching younger students in her symbolic systems major, a course of study that combines linguistics, philosophy, cognitive psychology, and computer science classes. 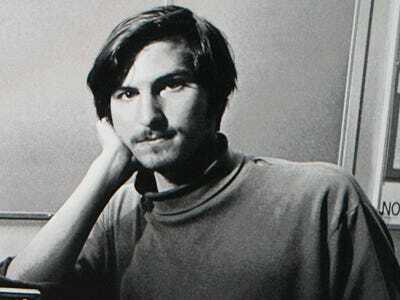 Apple cofounder Steve Jobs grew up in the San Francisco area, and his parents wanted him to go to college nearby at either Stanford University or the University of California, Berkeley. But according to Walter Isaacson's biography, he wanted something more 'artistic' and insisted that if he could not go to Reed College, a liberal arts school in Portland, Oregon, he would not go to college at all. Reed's rigorous academic curriculum caused Jobs to drop out after six months, but a sympathetic dean allowed him to live on campus free of charge for another year and a half. During his time at Reed in the early 70s, Jobs experimented with LSD, became a vegetarian, and immersed himself in Zen Buddhism, Isaacson writes. Though he was no longer enrolled at the school, he audited courses he was interested in, including a calligraphy class that would famously influence his understanding of design and the products he would go on to create. 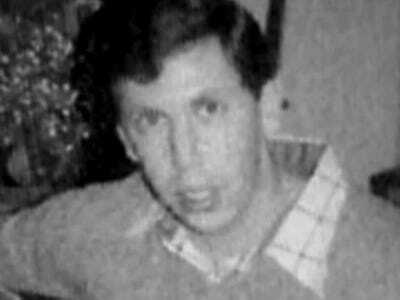 Oracle cofounder and former CEO Larry Ellison is the world's fifth richest man, but he was not a very good student. In the book, Ellison says he once didn't start an exam for an entire hour because he was so angry about having to spend so much time answering questions he didn't care about. He dropped out in 1964 after his mother became ill with cancer during finals week. On the bright side, a physics class in college required him to learn computer programming, a skill he would soon begin using to make money as an independent contractor. 'My short attention span didn't work against me because I could get programs written very quickly,' he tells Symonds. 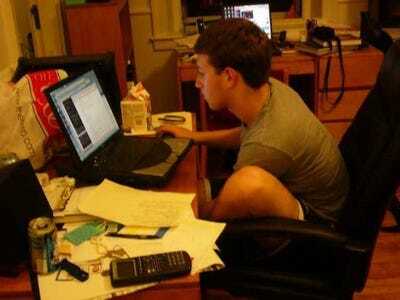 Mark Zuckerberg hard at work in his Harvard dorm. Facebook founder Mark Zuckerberg was already a programming whiz when get to Harvard in 2002, having already built a program called Synapse that learned what kind of music a listener liked and created playlists based on their tastes. The story reveals an idealistic young man who says his two main goals in life are to create things he likes and never have a real job. 'Making cool things is just something I love doing, and not having someone tell me what to do or a timeframe in which to do it is the luxury I am looking for in my life,' he tells The Crimson in a story published shortly before he dropped out to continue working on Facebook. Nonetheless, the site's early success may have gone to his head. Instant messages published by Business Insider reveal that Zuckerberg spoke openly about screwing over the Winklevoss twins, two students he had said he would help build a site similar to Facebook. He also called his fellow students 'Dumb f---s' for giving up their personal information to join Facebook. In 2011, Snapchat cofounder and CEO Evan Spiegel left Stanford three classes before finishing his degree in order to focus on the app, which he had presented in a product design class as his final project. 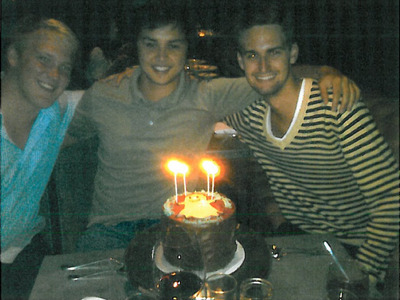 Spiegel was social chair of Stanford's chapter of the Kappa Sigma fraternity, where he met his two fellow cofounders, Bobby Murphy and Reggie Brown. As part of Kappa Sigma, Spiegel hosted parties at his father's $US4.25 million Los Angeles estate and sent out emails in which he encouraged fraternity brothers to get blackout drunk and joked about urinating on women. After the emails were published on Valleywag, Spiegel told Business Insider he was 'mortified and embarrassed' by his 'idiotic' emails. Famed college dropout Bill Gates returned to Harvard in 2007 to receive an honorary degree. 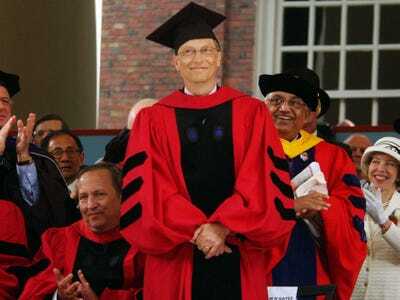 Microsoft cofounder Bill Gates took a 'rebellious' attitude toward college during his three years at Harvard in the 1970s, according to author Walter Isaacson. Convinced of his own ability to get good grades without showing up for class, Gates would skip lectures for the classes he was enrolled in, while attending the lectures of classes he was not signed up for. He was known for his intense work ethic, sometimes staying awake for 36 hours at a time, and for playing lots of poker all through the night. Isaacson writes in Harvard Magazine that while Gates was great at the mathematical calculations involved in the game, he was not a very good bluffer, a flaw that on one occasion caused him to hand his checkbook to his friend Paul Allen in order to stop himself from losing more money. During his sophomore year, he and Allen would create the first software program for the personal computer company Altair, a venture that would ultimately lead to Gates dropping out and the formation of Microsoft. She originally was a pre-med major, but struggled with organic chemistry. 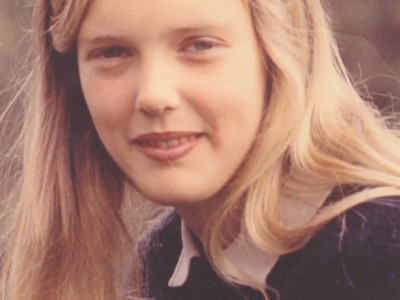 Instead, she found that she loved economics and how it allowed her to use maths to solve real problems. 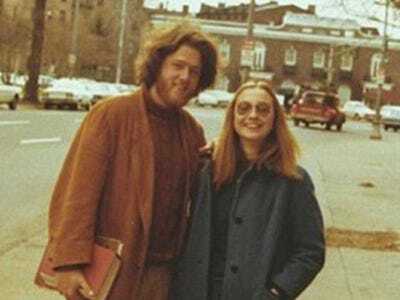 But what really changed her life was a job she got selling ads for Business Today, an undergraduate magazine created by Steve Forbes, who is today the editor-in-chief of Forbes magazine. Whitman took to the job immediately, finding that she loved talking to businesspeople and appreciated the fact that her success was directly related to how much work she put in. In 'The Power of Many,' Whitman recalls one occasion during which she took four sales meetings in Milwaukee with a 104-degree fever. With each meeting, she began to feel a little bit better. Amazon founder Jeff Bezos attended Princeton with the hopes of becoming a physicist, but he found his quantum mechanics class extremely difficult, according to a 2001 story published by The Guardian. 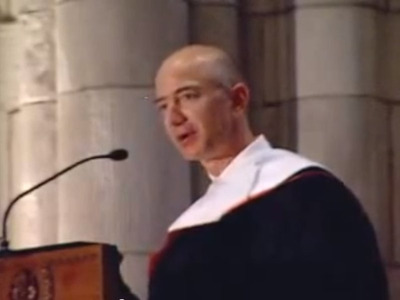 Bezos quickly decided he was not cut out for physics in the same way some of his classmates were, gravitating instead toward computer science. In addition, he was a member of the school's Quadrangle eating club, and served as president of the Princeton chapter of Students for the Exploration and Development of Space. 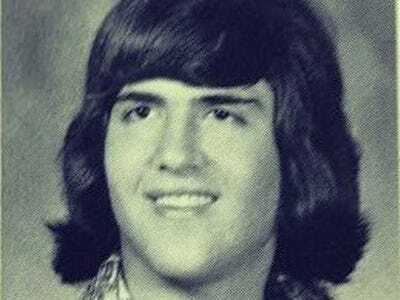 Mark Cuban's high school yearbook photo. As you might expect, the outspoken Broadcast.com cofounder Mark Cuban was a brash college student who embraced a hard-partying, hard-working lifestyle, according to a 2012 interview with Elite Daily. As an undergraduate at Indiana University, Cuban snuck into MBA classes in order to soak in business knowledge and compare himself to the older graduate students. To pay for school, he started all kinds of business ventures, including promoting parties, running a campus bar, and teaching a disco dancing class (Cuban went to college in the 70s), according to the Wall Street Journal. He also was a member of the school's rugby team, a cohort that engaged in wild parties where team members set alcohol on fire and sometimes got naked together. These activities were documented by Deadspin in a story that included photos of the parties, published with Cuban's consent. 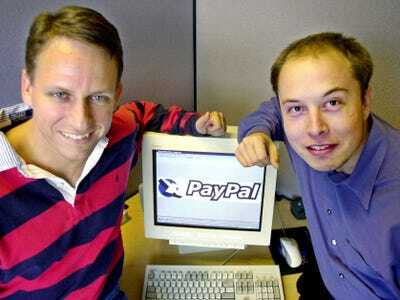 Nine years after graduating, Thiel, left, founded PayPal with Elon Musk, right. PayPal cofounder Peter Thiel arrived at Stanford in the mid-80s with a pretty hefty intellectual résumé, having already established himself as an accomplished chess player and something of a maths wiz, Fortune reports. In college, Thiel's gifts would be complemented by a growing contrarian streak to create the highly outspoken man we know today. While majoring in philosophy, Thiel became influenced by the French thinker René Girard, who believed that social conflict is caused by people who learn from each other to want the same things and think the same way. The New Yorker reports that Thiel became known as a sharp debater among his group of friends, which included the left-leaning future PayPal executive and LinkedIn founder Reid Hoffman. Hoffman actually ran against Thiel in a student senate race before the two pals decided to combine forces, according to a Forbes story. Thiel expressed his growing conservatism by founding the Stanford Review, a right-wing campus publication that railed against what Thiel saw as the growing influence of multiculturalism and political correctness on campus. 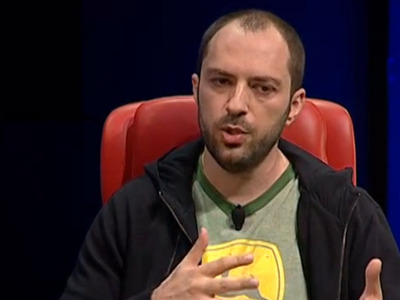 WhatsApp cofounder Jan Koum is worth about $US7 billion today, but he was dirt poor when he was in college. Prior to enrolling at San Jose State University, Koum and his mother had to immigrated Mountain View, California to escape anti-Semitism in his native Ukraine. According to Forbes, he swept the floors of a grocery store to help the family make ends meet, but his real talent was in computer programming. Forbes reports that Koum worked part time in college as a security tester at Ernst & Young, a job that brought him into contact with early Yahoo employee Brian Acton when Koum was sent to inspect the company's advertising system. Acton would later become Koum's WhatsApp cofounder. Koum ultimately scored a part-time job at Yahoo, and dropped out of college when the company's cofounder, David Filo, called him on his cell phone during class to frantically ask for his help fixing a broken server.